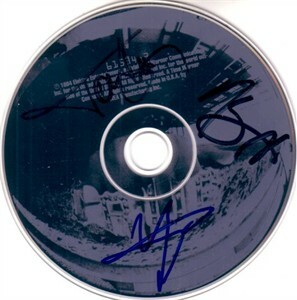 Motley Crue self-titled 1994 CD autographed by Tommy Lee, Vince Neil and Nikki Sixx (missing only Mick Mars). Booklet not included. Obtained in person. With certificate of authenticity from AutographsForSale.com. ONLY ONE AVAILABLE FOR SALE.